Honeycrisp apples has taken the Country by storm. Anyone who contacts us about Honeycrisp we explain the Honeycrisp experience. Our customers explain it best. 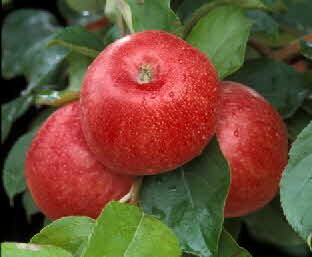 In E-mails and phone calls about Honeycrisp apples it is always that Honeycrisp is the best apple they have ever eaten. Honeycrisp eaters biggest fear, would be that they will run out. Honeycrisp eaters biggest joy, when they don’t run out. How long will Honeycrisp apples store? At least 2-4 months in the bottom of the fridge. Want to make a new friend today? Give someone a Honeycrisp apple. Honeycrisp set themselves apart from other apples in many ways. Honeycrisp apples have what we call their "Explosively Crisp® texture and are juicy created by the large cells that explode with juice in your mouth. 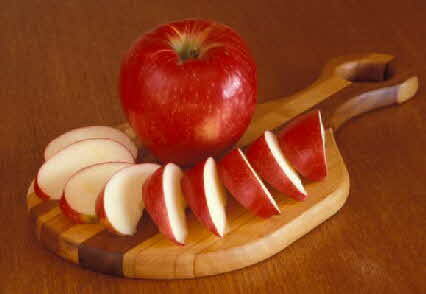 The Honeycrisp apple has a cream colored flesh and the taste is a wonderful, well balanced, sub acid and sugar flavor. Honeycrisp has double the cell structure of other apples. Double the cells double the pleasure when eating Honeycrisp. Like Cortland apples, McIntosh apples, and Macoun apples, Explosively Crisp® Honeycrisp do best when grown in the coldest areas of the country. Minnesota, Michigan, Wisconsin, New England and Upstate New York (where we are) produce some of the finest Honeycrisp apples. If you want the "Crunch" look for the "Explosively Crisp® Honeycrisp" logo. 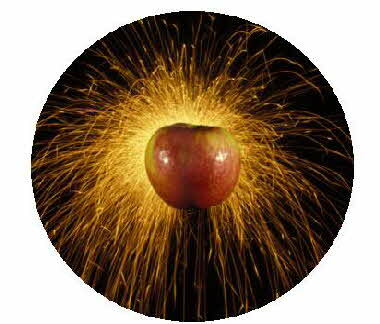 You cant miss it as it is the label that has the fireworks exploding out of the apple just like the juice explodes out of Honeycrisp. If you experience Honeycrisp from warmer areas most likely they just wont be the same. Honeycrisp while so wonderful to eat, with the double your pleasure cell structure, are not the easiest apple in the world to grow. As noted once in a presentation by Susan Brown, Cornell University "The Good, The Bad and The Ugly". The apple farmers who grow Honeycrisp apples realize however that the consumer has fallen madly in love with Honeycrisp apples, no matter how hard to grow and store. These farmers along with participating Universities have experienced a learning curve like no other when growing Honeycrisp. Hard work and dedication by the American Farmer brings you great apples like Honeycrisp. 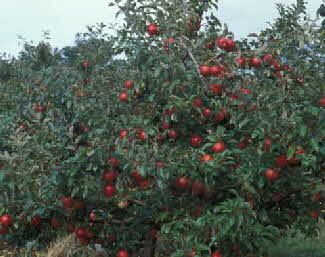 Honeycrisp apple trees were derived from a 1960 cross of Macoun and Honeygold, at the University of Minnesota apple breeding program. 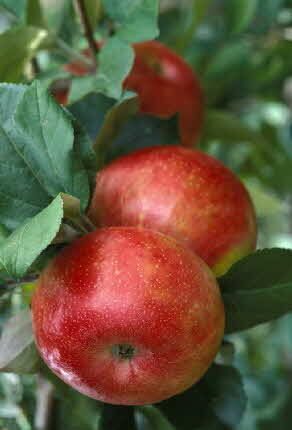 The University was looking to develop winter hardy cultivars with high fruit quality. 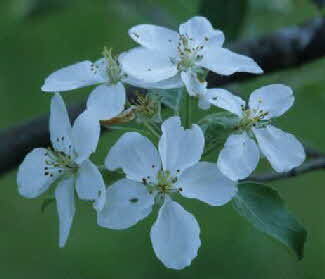 The original Honeycrisp apple seedling was planted in 1962 at the University of Minnesota Horticultural Research Center. In 1974 it was excepted as a possible new and exciting variety. Honeycrisp then know and evaluated as MN 1711 was tested at locations Minnesota, Michigan and here in New York at the Cornell Research Station in Geneva. In 1982, research scientist Dave Bedford rediscovered the tree and really loved the apples. As the story is told "He and Researcher James Luby went back to the records that had been kept on "1711." According to Luby, its data sheet had "DISCARD" scrawled across it." In 1988 a plant patented was applied for and in 1991 the apple we know as Honeycrisp was released for commercial propagation by the nurseries around the Country. Now Honeycrisp apples are known around the World.